Laboratory Design Guide Book from C.H.I.P.S. Stay well informed with these updated laboratory design guidelines! The construction of new laboratory buildings or the renovation of existing ones requires close communication between laboratory users, project engineers, architects, construction engineers, and health and safety personnel. All too often, health and safety considerations are overlooked or slighted and are not sufficiently incorporated into designs. Guidelines for Laboratory Design: Health and Safety Considerations provides reliable design information related to specific health and safety issues that need to be considered when building or renovating laboratories. With an increase in the number of laboratory renovations due to lower costs and faster end results compared to constructing new buildings, this latest edition, which includes new chapters on laboratory renovation, is particularly timely. This well-established and respected volume also includes a vital section on design guidelines for commonly used laboratories and features separate chapters on a wide array of laboratory types. 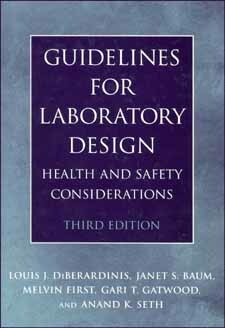 A wide range of professionals�including those in industrial hygiene, chemical health and safety, laboratory management, and architectural and engineering firms handling laboratory construction and renovation�will find the latest edition of Guidelines for Laboratory Design: Health and Safety Considerations essential reading.